ESKA Insures a Comprehensive Agency Management System for all your Insurance Agency's needs. The insurance industry is one of the largest industries in the world. With growing demands and greater opportunities, this is a sector to reckon with. As we are seeing more instability within the political and economic scope, people are becoming more keep for security and accountability. Thus, the pressure for insurance companies to step up their game. That said, many companies today are highly utilizing technology in their growth, in order to keep up with the demands and worries of society. The rise of Insurtechs and Fintechs are greatly affecting the world today, which is why many companies are transforming to a digital state. ESKADENIA Software is adept in providing comprehensive software systems and solutions to the business sectors and industries we serve. A key industry for ESKADENIA is the Insurance market sector. 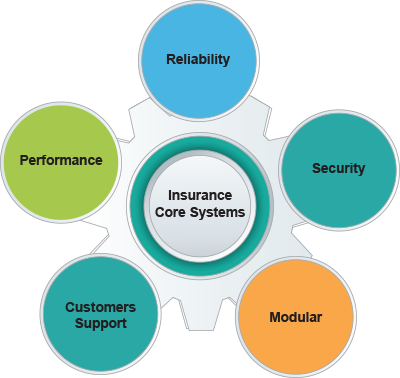 ESKADENIA’s offerings for the Insurance sector consists of core insurance and business support systems built in a modular yet integrated structure. 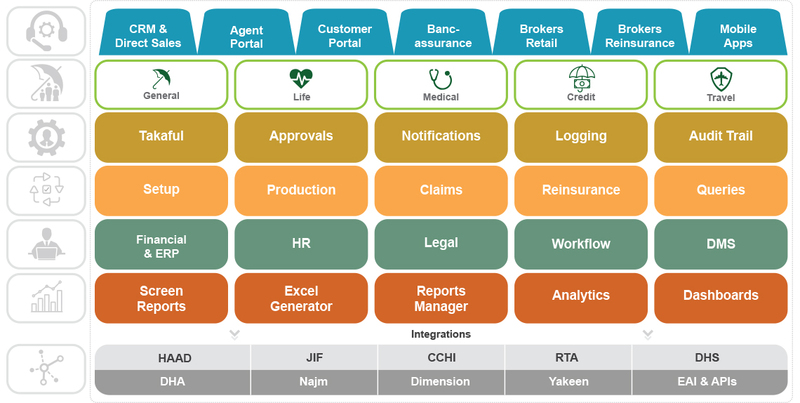 ESKA® Insures is a comprehensive suite of modular software systems tailored to meet the largest set of business requirements for the insurance industry. Insurance companies may invest in either a single or several products of choice, or even the complete suite. With ESKA Insures, Insurance businesses can run their business more profitably as well as retain and better service their customers. ESKA Insures systems are web-based and use the same technology for seamless integration. Multi-language, multi-company, multi-branch and multi-currency. User-friendly and mobile responsive web interface. Earned/Unearned production and reinsurance figures. Several Premium calculation methods, commissions & incentives. Import/export of policies, risks, reports, etc. using several formats. Claim reserve, payments and recovery processing. Automatic reinsurance and bordereau generation. Real-time posting to financial & reverse posting. Powerful reports in multiple formats. Exquisite user experience and reliable performance. Highest security standards and regulatory compliance. ESKA Insures also supports/extends its functionalities through Takaful, Bancassurance and Notifications and Approval systems. The ESKA Insure’s notification system helps keep everybody on the same page by automating and scheduling notifications for any and every work process. ESKA Insure’s helps you to slash the bulk from your workloads without sacrificing control by providing easy-to-use automated tasks, which help you delegate and verify all necessary inputs and approvals. 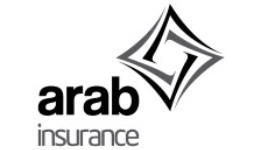 ESKA Insures incorporates the guidelines of Takaful, enabling you to design insurance models spanning Morabaha, Wakalah and Modaraba concepts, creating a better-diversified insurance portfolio. Bancassurance automates and accelerates the process of creating quotations, issuing policies, alterations and renewals. Customers can additionally file claims information and receive updates on their claim statuses right from their local bank.